House of worship holding Family & Community Day on September 6 CHICAGO – A responsible, civil, and perhaps necessary response to the violence plaguing Chicago’s streets is for local faith communities to provide better resources to families and children that live in the margins of privilege and opportunity. 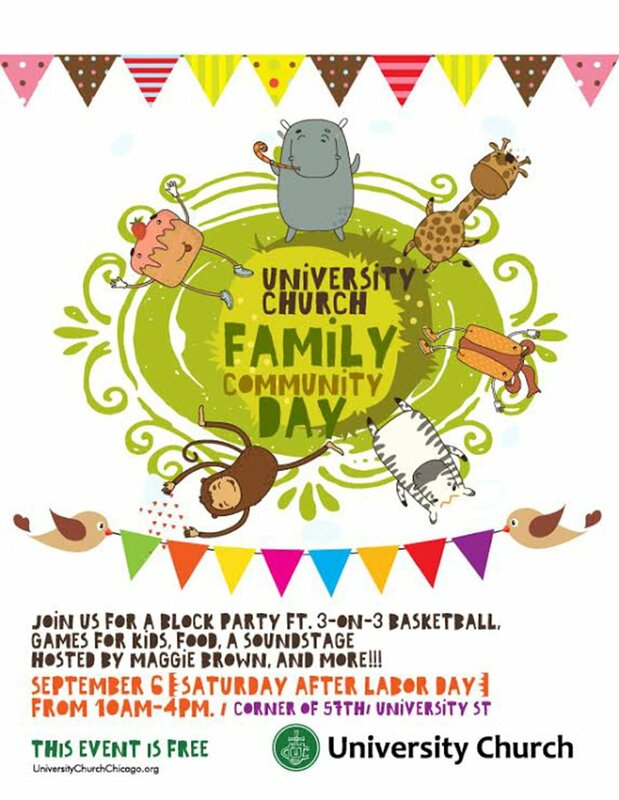 University Church — 5655 S. University Avenue, in the Hyde Park neighborhood – is hosting a weekend, one-day festival to provide Chicago citizens, families, and children a day of healing and unity. 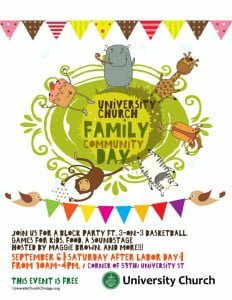 The University Church Family and Community Day will be held on Saturday, Sept. 6, from 10 a.m. to 4 p.m. The festival, molded in the style of a block party, will take place between the 5630 and 5700 blocks of University Avenue. “This is a free event, intended to be a ‘safe haven’ for all ages,” University Church Senior Pastor Rev. Julian DeShazier said. “We consider this the important work of a community church, and hope this event might inspire deeper confidence in surrounding faith communities.” University Church is also using this festival to announce the launch of its Fall youth arts programming. That programming will include theater, music, education, performance and critical identity information, in partnership with the Chicago Wisdom Project and Chicago Academy of Music, to begin in September. The day itself will feature a youth 3-on-3 basketball tournament with a cash prize as well as a children’s area. There will be a sound stage with live entertainment, hosted by renowned jazz singer Maggie Brown and hip hop artist J.Kwest (who is also Rev. Julian DeShazier, Senior Pastor of University Church), with choirs, bands, and other local artists scheduled to perform. The event also offers free health screening and vendor space for local businesses.